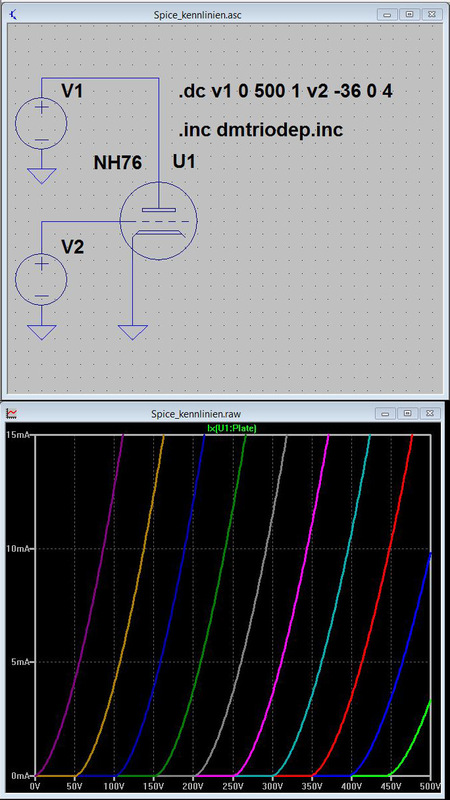 Circuit simulations with Spice systems are not necessarily required for simple triode circuits. At worst, the results are deceptive, since the computational accuracy of course doesn’t match the fluctuations of the real components and construction-related dependencies. 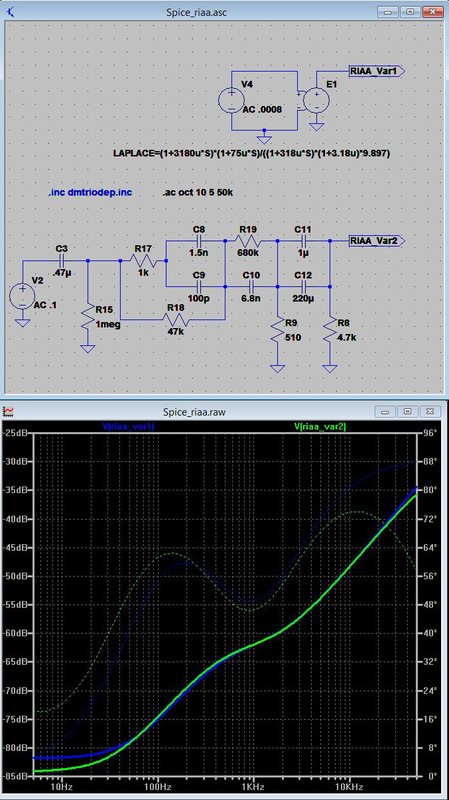 The calculation of the equalizer networks of phono preamplifiers by hand is rather complex and cumbersome. It is easier to figure out in Spice. 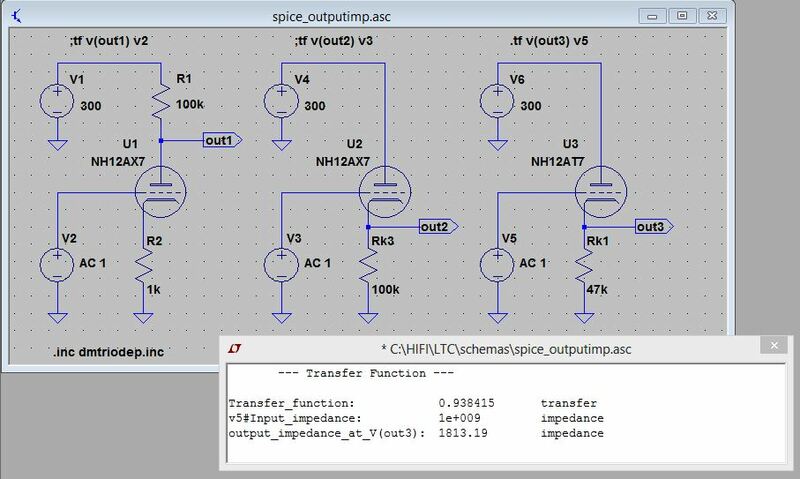 In Spice you can easily fiddle around with the values of the individual components, and immediately view the results directly in the frequency response. You can also easily view the parameters of the tube models used and compare them with the parameters from the data sheets.